I find myself reaching for this bag practically every day this summer; it goes with everything. I think it will be easy to style going into autumn, as well! Everything in Madrid was a lot cheaper than it is in the US. These Dior earrings were $100 and $200 less than the United States prices. I got the pearl Dior tribal earrings (also called mise en Dior earrings). These are $410 in the United States. I tried to find the Dior So Real sunglasses in Madrid, but couldn't find the mirrored reflective style I wanted. I finally found them in the US, though. Audrey got this gorgeous Celine Trapeze (I believe the color is Dune) - and it was $1,000 less than the US price...and the last one! It was meant to be. This is the smallest size. While in Madrid, I purchased the Prada Pilot sunglasses, since I was planning to buy the Dior So Real but couldn't find them. I love this style too - they are a bit less dramatic than the other style I wanted, but still very cool. I love Kinder, especially the eggs. I still have the ones I collected as a child back in Ukraine! I got these at the airport. There were supposed to be eight Kinder eggs here and we initially only saw six. I was convinced it was an evil conspiracy until I located the two missing eggs. Can you spot them? These cards were just too cute to resist, especially since they were super cheap! Museum goodies from the Thyssen-Bornemisza Museum - I also got a ton of magnets featuring various artworks. We loved the museums in Madrid and went to either six or seven of them in our week-long stay. On our last day in Madrid, Audrey and I awoke early and traipsed to Antigua Casa Crespo to buy their famous espadrilles. They were 10 euros for bigger sizes and 8.50 (8,50 in Spain, haha) for smaller sizes. I only bought five pairs...but to be fair I practically live in these espadrilles. I've been wearing them all summer; they're super comfortable and I don't have to worry about getting them dirty or ruining them. I've worn this navy pair almost every other day this summer....and they look it! They're still super comfortable though and great shoes for summer. These two striped ones are my favorites; the first pair is nautical, while the second pair somehow reminds me of a pair of Chanel espadrilles from a little while ago. The other solid color I got was olive green. They're unworn in this photo, but they've been a summer go-to since they match so many things! I got these tie-up espadrilles because I thought they were cool and I love the idea of having shoes like that, but reasonably I would never buy any because they would get dirty/ruined. I figured since these were only about 12 euros that I could risk it. ;) Audrey also got a cute pair of cream espadrilles, and while they do get dirty, it is totally possible to clean them. I love those dresses and the Phillip Lim bag <3 And wow what a difference in price with the US! I look forward to your next posts, and maybe you can show outfits with the dresses? Hi! I really liked your post. I will be traveling to Madrid next week, if would be very helpful if you could tell me where did you buy the Dior earrings and the Celine bag. I've been undecided if buying them or not, but since it is cheaper I would definitely buy them. Hi Valentina! :) Thank you! 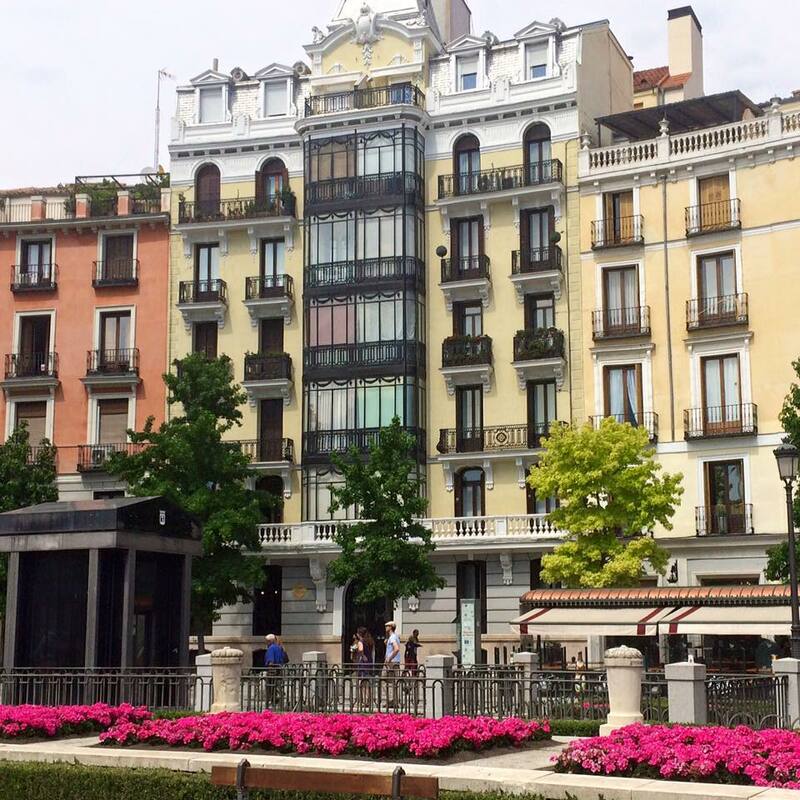 very nice post, i love madrid and also your purchases!! Great style. I am starting again so I am following new blogs and trying to get followers back :) Your blog is def. one to follow!! Btw, just created fb and twitter accounts for my blog! A simple like/follow means a lot! got it on sale :) Love it! extremely pleasant post, i adore madrid furthermore your buys!! Extraordinary style.